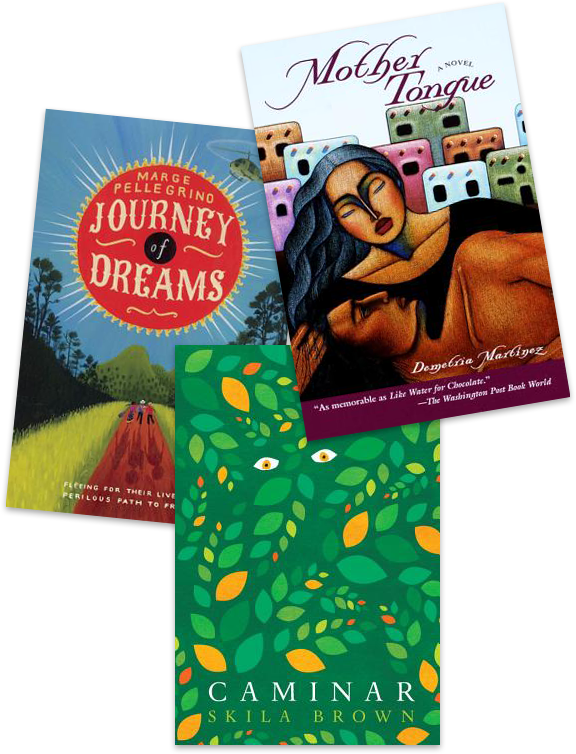 Central American literature is nearly invisible in our schools. A student with family roots in El Salvador could make it from pre kindergarten through senior year without reading a text written by someone from Central America, much less El Salvador. And most students graduate high school without a rudimentary understanding of the history of U.S. involvement in Central America, which has spurred waves of immigration to the United States. In this instructional unit, students draw on the When We Were Young website and literature (fiction and nonfiction) to understand the civil wars in El Salvador and Guatemala and the ongoing effects of these conflicts on Central America and the United States. Students will gain an understanding of the history using young adult novels, the video documentaries of six children who grew up during the civil wars, and a wide collection of supplemental texts available on this website. Students select one of the six featured novels about El Salvador or Guatemala. They research important events from Guatemalan and Salvadoran history and create timelines that visually map the connections between the historical and fictional stories. Students meet regularly with their book group and other book groups and participate in a variety of small group discussions to provoke critical thinking and close textual analysis. The unit culminates in a whole class Socratic seminar discussion, drawing on all of the novels and supplemental texts on the website. Students build on the ideas they’ve explored in class discussion to write an essay on a theme of their choice and/or to write a book review to publish on Goodreads. This unit could be taught over 4-6 weeks depending on which activities the teacher decides to include or omit and what additional activities or assessments are added. It could be used with students in middle school or high school, depending on student reading levels and the books selected. Mother Tongue, The Weight of All Things, and One Day of Life, are more complex linguistically, include more explicit descriptions of the violence that occurred during the civil wars, and explore mature themes. They are recommended for students in grades 10-12. Reading summaries of each of the characters featured on “When We Were Young/There Was A War” in the Content Overview tab of the Teacher Resources. Learn about the history of El Salvador and Guatemala by reading the information posted in the El Salvador Maps and Facts and the Guatemala Maps and Facts tabs. Teaching for Change has a dedicated website to encourage and support teaching about Central America. Harvest of Empire is a documentary based on the book of the same name by Juan Gonzalez, which recounts the histories behind Latino migration to the United States, both past and present. What are the most significant root causes of the civil wars in El Salvador and Guatemala in the 1980s? How could these problems have been more effectively addressed? How can young people heal from repeated exposure to violence and trauma? How do writers of historical fiction express a political perspective on historical events?